Be in the middle of everything, yet so privately secluded! Take advantage of the fall weather just sitting outside with nothing around you except for a beautiful landscape and lush trees. 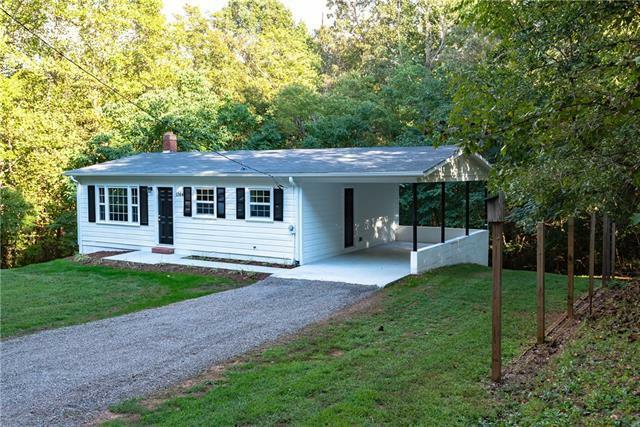 This home features 2 bedrooms and 1 bath with an unfinished basement and carport. You will fall in love with the charming kitchen and beautiful bathroom. This home has gone through a total remodel with a new roof, heat pump, counter tops, and flooring.